Every time I would look at a book I was reading lately on Amazon, I would get a recommendation for “Peak: Secrets from the New Science of Expertise” as another book I might be interested in. I saw it so many times in fact that I decided to just grab it and give it a listen over the past week. Of course, it helps that I’ve been on a bit of a journey of exploration into the field of human excellence and this book is right in that sweet spot. In Malcolm Gladwell’s book, “Outliers” he tells us about the 10,000-hour rule – that to become an expert at something you have to spend 10,000 hours practising it. This thesis by Gladwell actually comes from research by Ericsson into specific violinists and as he points out, was massively misconstrued. Even the test subjects that Gladwell referred to from Ericsson’s research were not experts after 10,000 hours, it was like an entry point to the beginning of mastery. In fact, the whole notion of the 10,000-hour rule gets absolutely obliterated in this book. 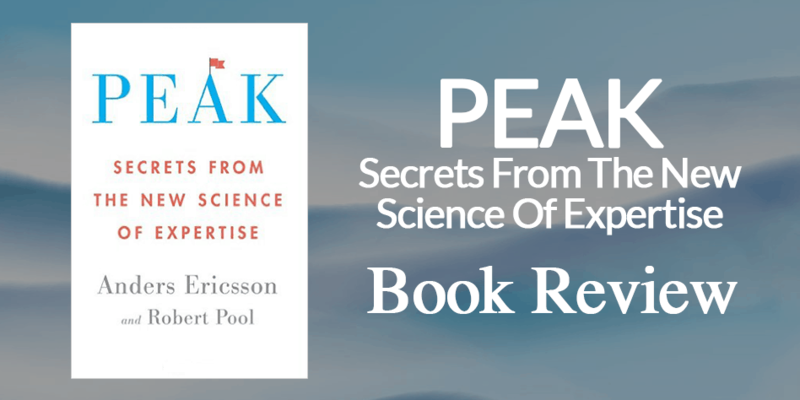 I found myself listening to the book and thinking that maybe the entire reason Ericsson wrote “Peak” was to set the record straight about his research. He goes to great pains to discredit the notion that just mindlessly and repetitiously doing the same thing over and over again for 10,000 hours won’t help you become a master, that you need to do “deliberate practice”. The crux of Ericsson’s entire theory of achieving expertise is through what he calls deliberate practice. As the book starts and progresses he talks about the other two types of “naive practice” and “purposeful practice”. The way you’re taken on the journey of the different types of practice, culminating in an understanding of just what he means by deliberate practice is very well done. As a reader, you find yourself clearly understanding the difference between the three. What’s more interesting about the way that Ericsson delivers the content is how he mixes in case studies from his own research, with interesting historical figures and even discussing neurobiology and neurochemistry. For me, I’m becoming more and more fascinated with neuroplasticity, the ability for your brain to rewire itself because of stimuli or even injury and Ericsson goes into this as well. Is This Applicable To All Of Us? The fascinating takeaway for me from this was how in “Peak” Ericsson just destroys the idea of innate ability and talent. He goes through numerous instances of things like child prodigies and even savants and shows how there is nothing “genetically” different about them, but that they have simply engaged in a form of focused, deliberate practice over a period of time. For us, that means that in many cases, we can achieve levels of mastery and expertise even as we get older. We may need to work harder because of the consequences of ageing and there may be some limits around neuroplasticity, but that if you want to become a scratch golfer at 40 having never picked up a club, with the right practice, that’s entirely possible. I found that really interesting. What I did find problematic was his constant use of the phrase “mental representations”. It’s a big part of deliberate practice, but I don’t think the book does a good enough job clarifying exactly what “mental representations” are and thus they can become a bit confusing particularly in the last chapter when he talks about them a lot. For clarity, a mental representation is a visualisation of what you want to achieve or what’s going to happen. Imagine you’re sitting in the tee box in golf, you run through your tee shot in your mind: “How are you addressing the ball?”, “What is your hip rotation like on the backswing?”, “What’s your hand position like as you strike the ball?” and “Are your following through correctly?” Those are all mental representations – you’re able to visualise the right way to do something so that you can execute it correctly. That complaint about the explanation around mental representations, like his desire to correct Gladwell, is really just me nit-picking. This is a really good book and it’s well written. I enjoyed the stories and case studies that he used because you find yourself really engaged with the stories. More than that, you come away with a sense that if you can figure out how to initiate deliberate practice or even purposeful practice in things that you’re doing right now, you’d have a great chance at getting better. This is a really great message that you takeaway from the book in a very subtle way all the way through. 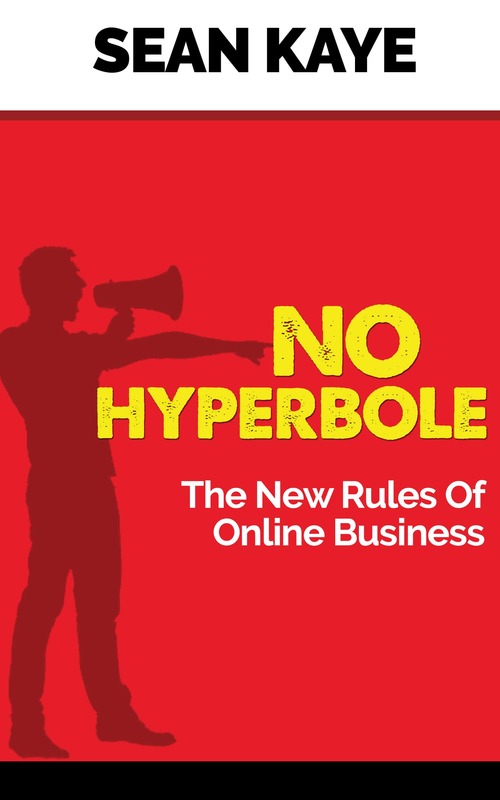 I really enjoyed listening to this book and highly recommend it if you’re interested in finding ways to get better at things in your life and business.